Burn videos and photos to Blu-ray disc on Windows 10/8/7/XP/Vista. Create Blu-ray disc with customization menu and real-time preview. Edit video by built-in tools with Crop/Trim/Watermark/Effects. Toolbox to make slideshow, copy DVD, convert DVD to video, etc. 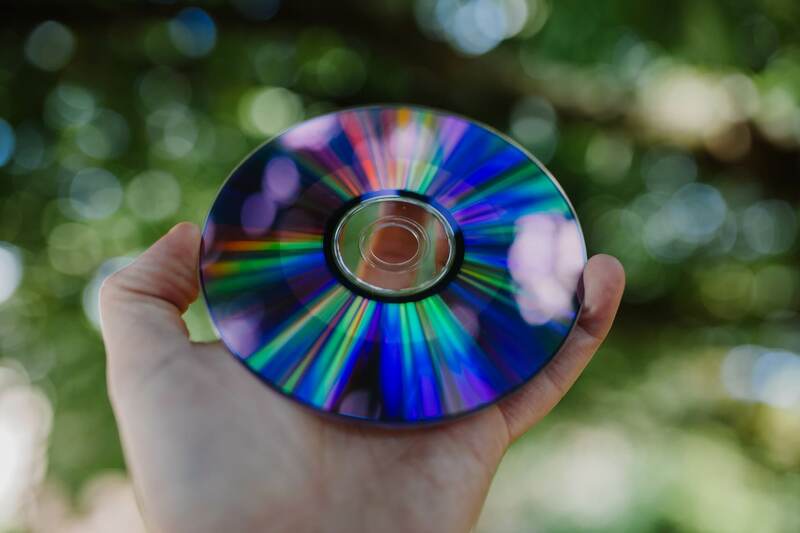 Even though some people believe that the use of optical media like DVDs and CDs are becoming less prevalent in today’s world, this stuff are still considered as one of best storing media, especially the Blu-ray disc. It also brings an excellent watching experience when playing on TV or other devices. If you're looking for free Blu-ray burning software which can help you burning videos or photos to Blu-ray disc, you are on the right page now. 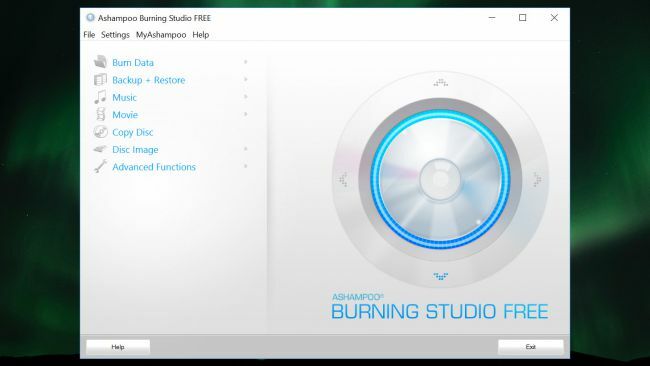 This article lists the top 6 Blu-ray burning software for Windows and the most recommended tool, Wondershare DVD Creator, to convert videos/photos to Blu-ray disc with customization features. Before learning the free Blu-ray burning software, I'd like to highly recommend the all-in-one Wondershare DVD Creator, which supports burning videos in any format to Blu-ray discs including BD-RE, BD-R, BD-50 and BD-25 on Windows. 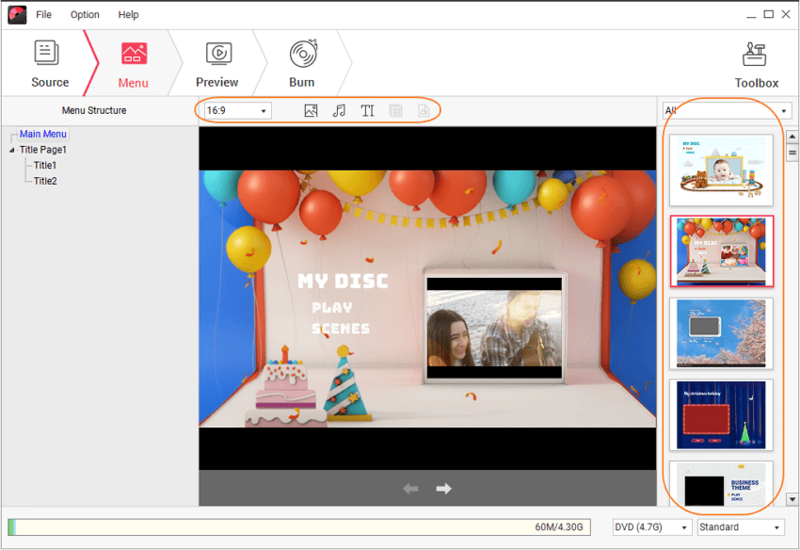 Aside from the basic burning function, Wondershare DVD Creator provides additional toolbox to make photo slideshow, edit video, copy dvd, and more other built-in functions to make your Blu-ray disc more attractive. It can be used on Windows 10/8/7/XP/Vista version and create DVD on Mac OS. · Burn videos/photos to Blu-ray/BDMV/DVD/ISO file with super fast speed and high-quality output. · Customize DVD menu with 100+ template design and parameters such as background images, music, text, and others. 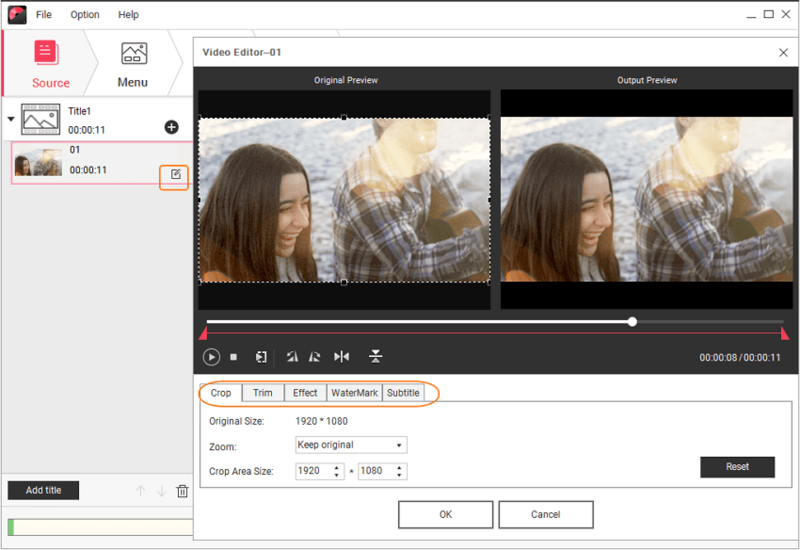 · Built-in tool to edit video to Blu-ray disc with Crop, Trim, Add Watermark, Apply Effect, etc. · Best free Blu-ray burning software alternative provides additional functions such as Photo Slideshow Maker, Video Editor, DVD to Video, DVD to DVD, etc. · Supported OS: Mac OS X 10.13, 10.12, 10.11, 10.10, 10.9, 10.8, 10.7, 10.6, Windows 10/8/7/XP/Vista. Let's learn how to create a Blu-ray disc within following simple 4 steps with Wondershare DVD Creator on Windows. Download, install and launch Wondershare Blu-ray Creator on your Windows computer, and select Create a Blu-ray(BDMV) Disc option from the initial interface. Click the " + " icon in the center of the interface, then you can browse and import videos present on your PC. Another way to import files is dragging and dropping videos directly to the program. 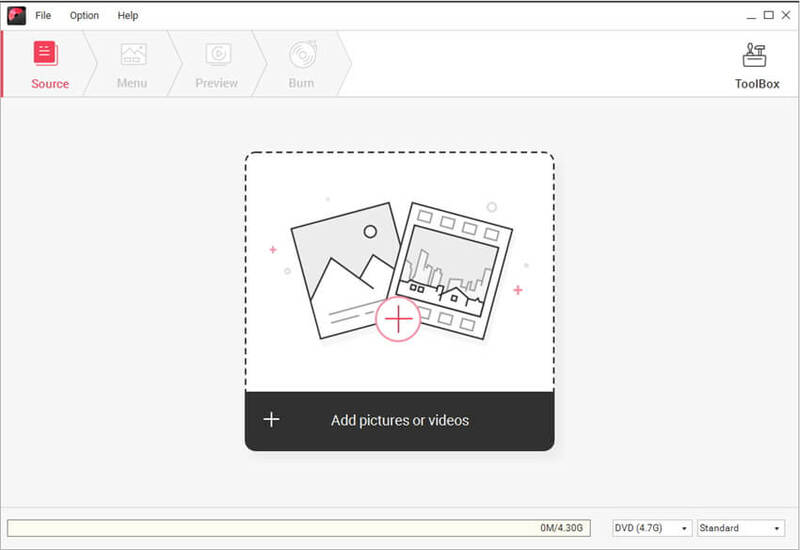 A list of video thumbnails will be displayed on the left panel, for video editing, click the pencil-like icon on the thumbnail and a Video Editor window will open. You can crop/trim/rotate videos here, or apply effects, add watermarks, and make other changes on your video. For Blu-ray disc menu customization, click the Menu tab and choose a menu template design from the right column. Hit the icons upon the active window, you are allowed to change background picture, edit background music, add text, create chapters, and make other adjustments. Check your creation by clicking the Preview tab. Feel free to go back and make changes if anything not satisfing you. If everything is okay, move to the Burn tab and choose Burn to disc option, select Disc Label, Burner, TV Standard, Folder Path,and other Burning Settings. Finally, click the Burn button to start burning videos to Blu-ray disc on Windows. You can also save your creation as BDMV files for later burning. Follow the steps above and try to create your Blu-ray disc on Windows with lots of features. The following list contains the top six free Blu-ray burning software for Windows. Enjoy the convenience they bring for you. BurnAware Free is software that allows ease of use, has simple interface, and provided different options that will help you complete your burning projects. It will allow you to make data disc, audio disc, copy images and video DVDs. It also offers additional features like generation of the CD-Text Information. However, this software lacks a disc option. Yet, it can provide you excellent burning software and can support 100GB capacity in Blu-ray disc, which backed up its drawbacks. This software will allow you to add replay gain in your audio disc and lets you burn HD- DVDs, CDs, DVDs and Blue – ray disc. It supports different language interface, making it a great option for users from different countries. Once your burning process is complete, it will perform verification in your data to ensure its integrity. It will also allow you to create bootable disc for windows in case some problem arise. Aside from that, this also offers tools that will make the process of erasing disc, play audio files, import M3U, and CD printing faster and easier. You also need to be aware about its promotional software that is not essential. It is another good software that offers 100 % DVD/ CD utility burning that will help you burn images of ISO, folders and files of different media like BD-R/RE DL, DVD-RAM, HD-DVD-R/RW, and many more. It also supports buffer of some under run technology and very reliable when it comes to high quality of burning data. This tool is use also for making backup for some important data and works perfectly for Windows 7, XP, Vista, 2000/ 2003 and 2008 server. This kind of free burning disc has the ability to burn CD/DVD/Blu-ray disc of some images files and other folders or files. It also comes in audio ripping functionality that rips audio CD to WMA, FLAC, APE and MP3 audio files. It can create image file from disc, which will serve as best backup for your PC. Furthermore, it will also allow you to copy disc if you want to have duplicate copy then erase rewritable disc if you desire to delete your content. Thus, it also supports the UDF file system, Joliet and ISO 9660 for your file optimization. This free software has the capability to burn different kinds of files like image, videos and music to CD, DVD and Blu-ray disc. Another additional feature of it is that it will provide you extra tools in creating bootable disc if you want to reboot your PC for some emergency cases. 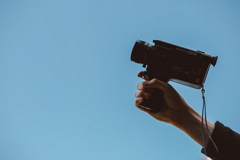 It will also allow you to create your own movie from your collection of video. It will offer you free applications that will allow you master the burning HD-DVD, Blu-ray, DVD and CD. It also supports the DVD video, extract movie only, and remove the advertising and trailer from original DVD. It can also offer you DVD9 up to 2 DVD-R support of conversion. Moreover, it is very compatible with file system of ISO9660 such as Unicode extensions and Joliet that implies disc burning wherein it can be read to most types of PCs.